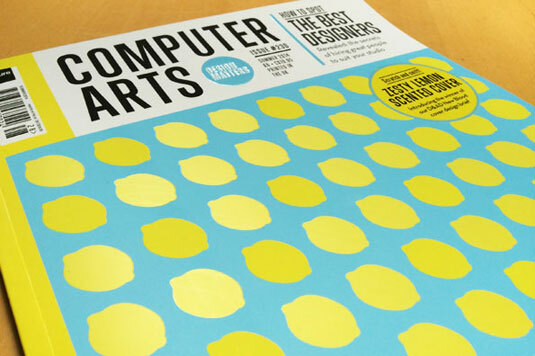 Latest Computer Arts ‘New Talent’ issue ‘ – all about those zesty lemons. Aside from the ‘idea’ I quite like the bright, punchy design. Designed by Paddy O’Hara and printed by Celloglas. Great film by Celloglas of how they made this cover.